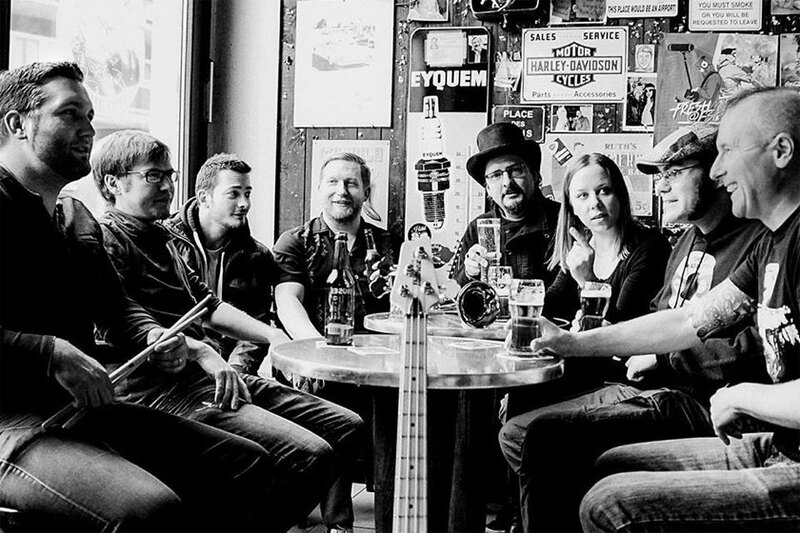 Founded in 1995, the Luxembourgish two-tone ska pioneer band Toxkäpp ! initially started out as a Punk rock outfit with abrasive lyrics sung in their minority language. From the start the lyrics were just as important as the music to the band. They felt the need to give a critical, social and political comment to all of the local goings on, while infusing their commentary with sarcastical humour. The sound quickly evolved to a two-tone-ska influenced danceable mix of raucous attitude and bouncing sounds. Today the band consists of 8 members on stage who play inevitable Lux-classics back to back with some inspired new material.